Spirit of Speyside Whisky Festival organisers, have announced record-breaking ticket sales for this year’s festival, with 116 events selling out within 24 hours of going on sale and ticket sale values increasing by over £30,000. The demand for festival tickets has been driven from both home and abroad, with whisky lovers in the UK, USA and Germany the top three early-booking nations. The festival continues to attract global interest, with website browsers from across Europe and North America and also Vietnam, Tanzania, Trinidad and Tobago, Kazakhstan, El Salvador and the Falkland Islands. Eager whisky lovers went into overdrive snapping up 1,058 tickets worth £46,000 in the first 10 minutes of them going live at 12 noon on Tuesday. The buying frenzy continued and within an hour 3,838 tickets had been sold and that figure rose to 4,982 with 24 hours. 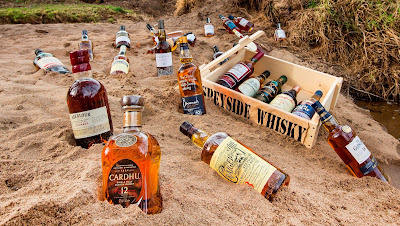 This year’s Spirit of Speyside Whisky Festival, runs from between May 3rd and 7th at venues across the Speyside region.